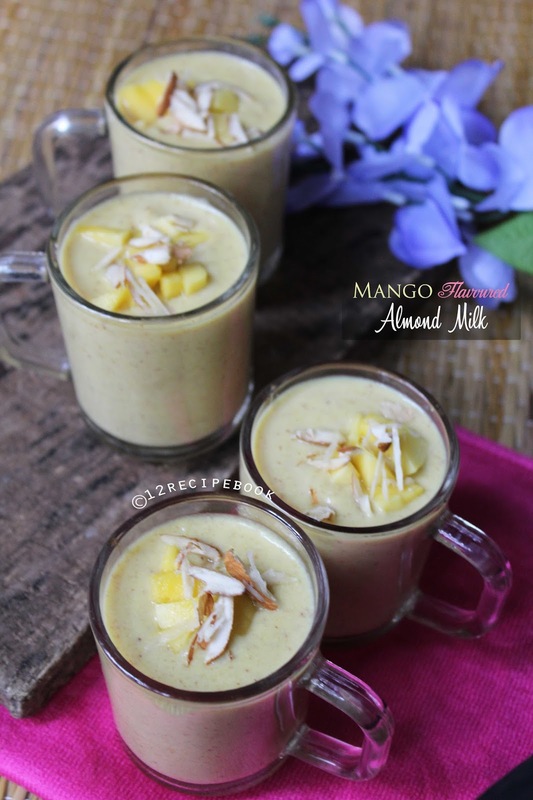 Almond milk is a delicious and healthy drink for anytime; hence perfect to break the fast. Everyone loves its creamy texture and nutty taste. 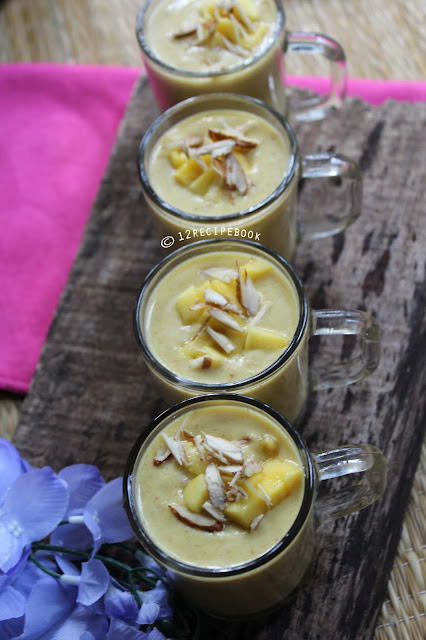 Here is the recipe of creamy almond milk with fresh mango flavor. Wash and soak almonds in water for overnight. Drain it; peel off its skin. Add the peeled almonds in a blender. Blend it along with little water (enough to grind) to form a thick cream. Keep aside. Add the mangoes in a bender and make a smooth puree out of it without adding any water. Keep aside. Heat milk in a deep pan; when it boils add almond paste. crushed saffron and sweetened condensed milk. Stir continuously on low flame. Heat on low flame for 10-15 minutes (by stirring continuously) and switch off the fame by adding mango puree and cardamom powder. Mix well and add in to serving glasses. Garnish on top with chopped almonds and mango pieces. Serve warm or chilled and enjoy the great taste!! !